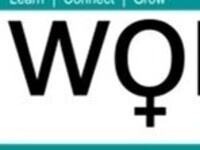 Women in business in the Rolla area will soon gain access to a new organization designed to support their work. The Women in Business Group will launch in September with additional events scheduled through 2018. The group will provide women with access to business resources, training, networking and a forum to test out new ideas. It is hosted by the Small Business and Technology Development Center (SBTDC) at Missouri University of Science and Technology, the Missouri Chamber of Commerce and Industry, and Woman Space Rolla. Attendees may bring a lunch. Registration is required. Although focused on women in business, anyone is welcome to attend.